Looking for an unusual Halloween treat? Make peanut butter cup cupcakes for a scary good blend of chocolate and peanut butter! What would Halloween be without REESE’S Peanut Butter Cups, am I right? 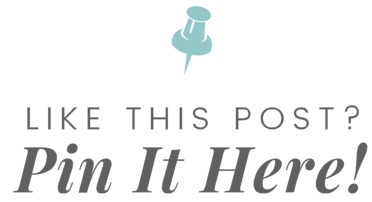 Truthfully, I can (and do!) eat these year round but they just seem extra appropriate in the fall. At least to me. Anyway… this year I wanted to combine one of my fav fall candies with cupcakes because why not? 😉 So I set about figuring out how to make peanut butter cup cupcakes. 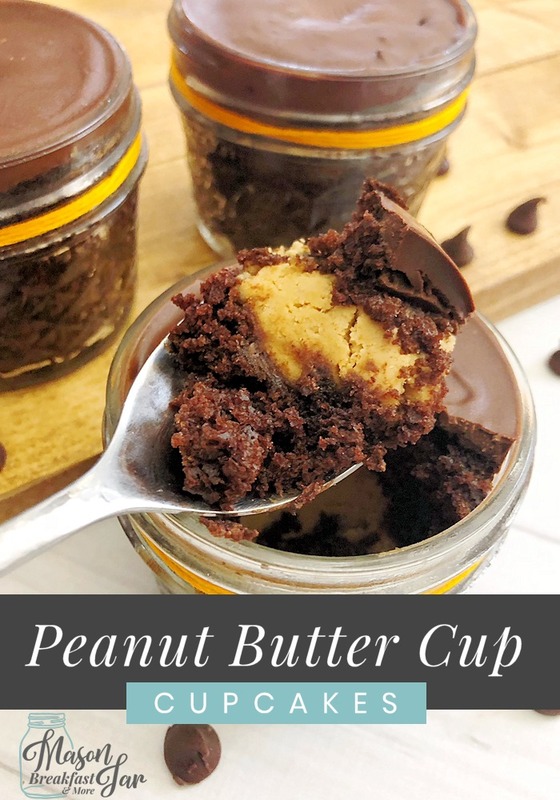 Like REESE’S Peanut Butter Cups, you can make peanut butter cup cupcakes year round, so don’t think this recipe is only good for one month out of the year! 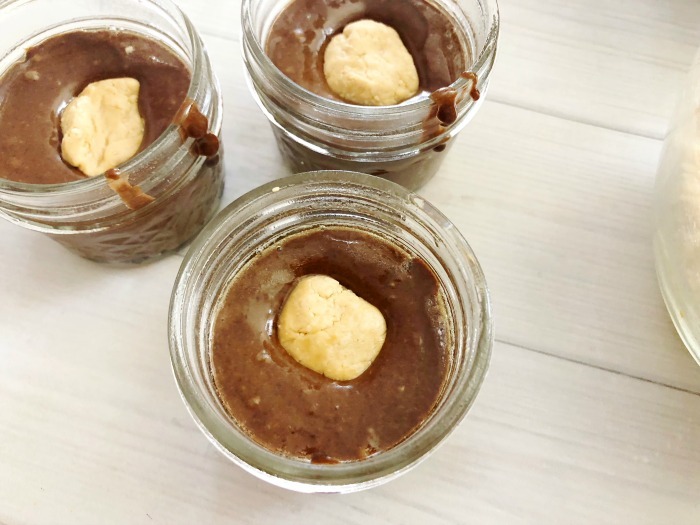 If you’ve got a peanut butter chocolate lover in your house, this recipe is sure to delight him or her regardless of what season it is. 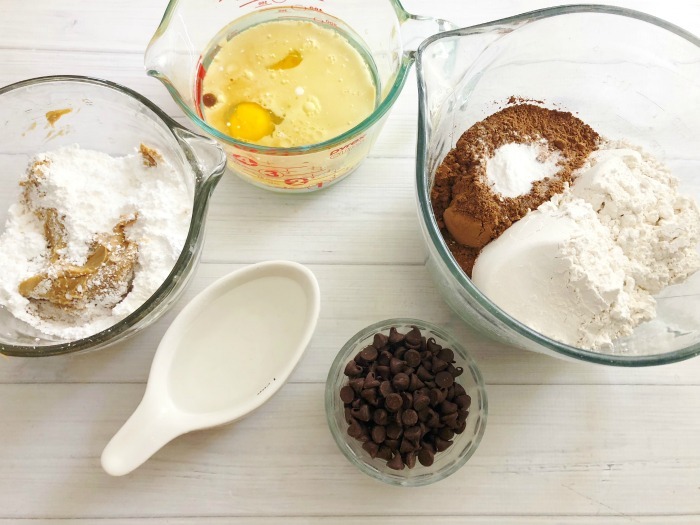 Okay, I’ll admit that you need a fair amount of ingredients to make peanut butter cup cupcakes, but the recipe isn’t hard. Mostly it’s just adding stuff to a bowl and mixing… not too difficult right? Plus, you don’t need any exotic, hard to find ingredients to make peanut butter cup cupcakes. I suppose you could even make them with store-bought cake mix which you can almost always find a coupon for. However, I prefer to make peanut butter cup cupcakes from scratch and that’s what the steps below outline. 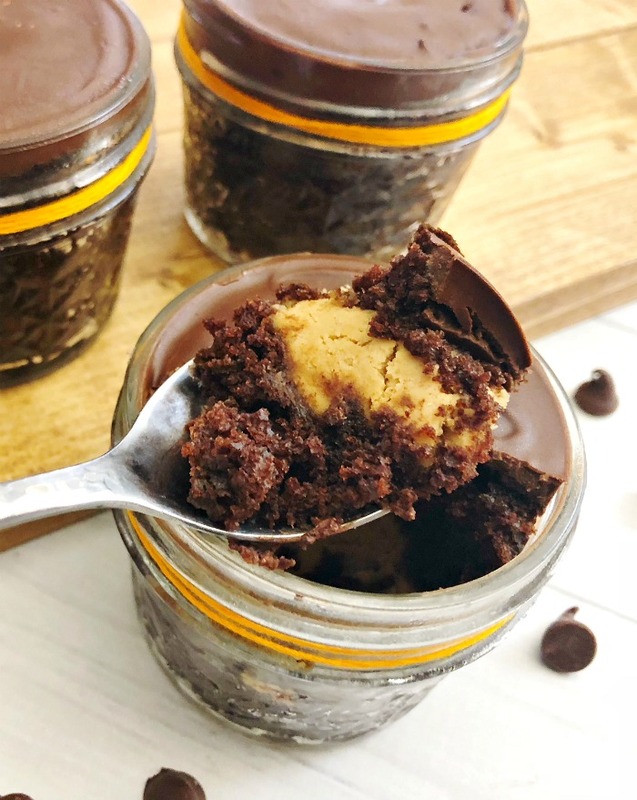 Bonus: I love to make peanut butter cup cupcakes in Mason jars because it helps contain all the crumbs that typically come with cupcakes. In my opinion, the Mason jars also makes it easier to store and transport these cupcakes. 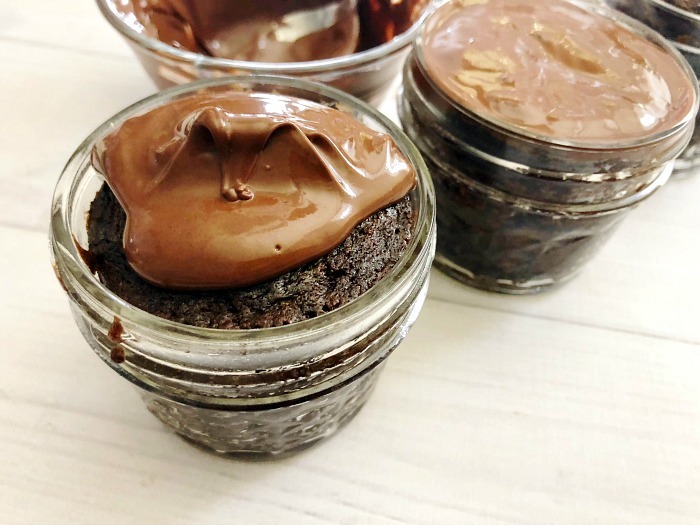 Okay, without further ado, here’s how to make peanut butter cup cupcakes! 1. 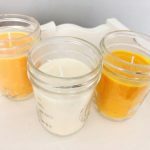 Preheat oven to 350°, spray Mason jars with nonstick cooking spray, and place them on a baking sheet. 2. 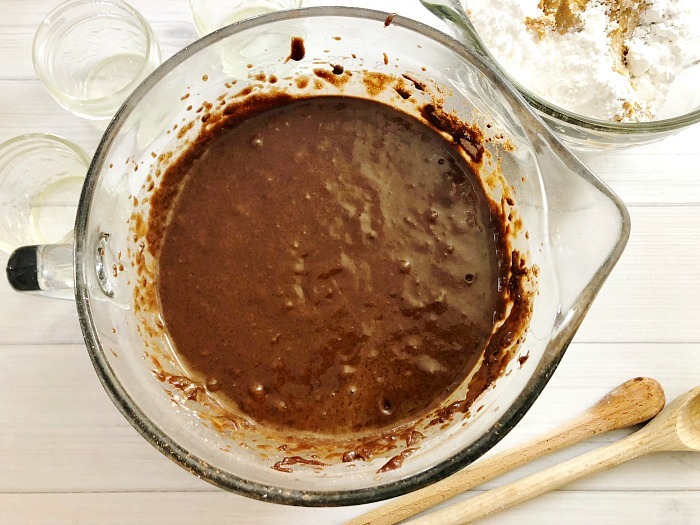 Add sugar, flour, unsweetened cocoa powder, baking powder, baking soda, and salt to a large bowl and mix well. 3. 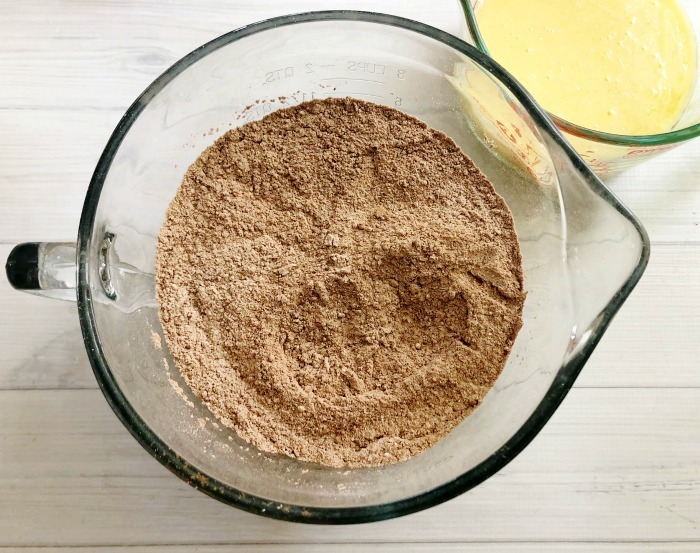 In a separate bowl combine vegetable oil, buttermilk, vanilla, and eggs; mix well. 4. Pour egg mixture into flour mixture and combine the two. 5. Pour in 3/4 cup boiling water and mix again. 6. 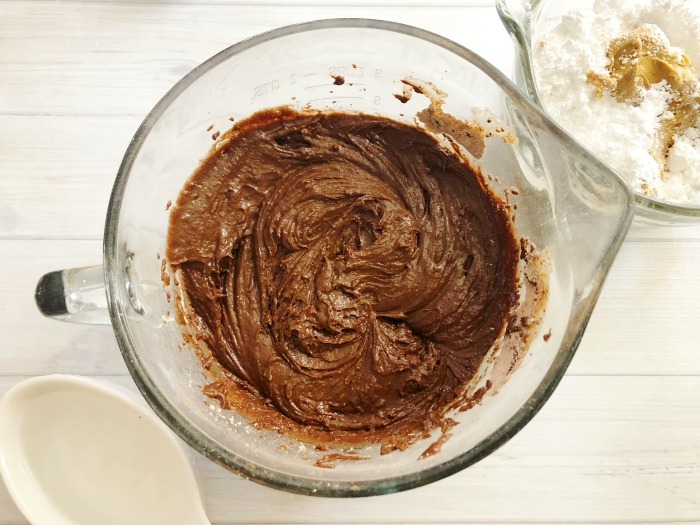 Add 2 tablespoons of chocolate cake batter to each Mason jar. 7. Add peanut butter, powdered sugar, and vanilla to a separate bowl and mix well. 8. 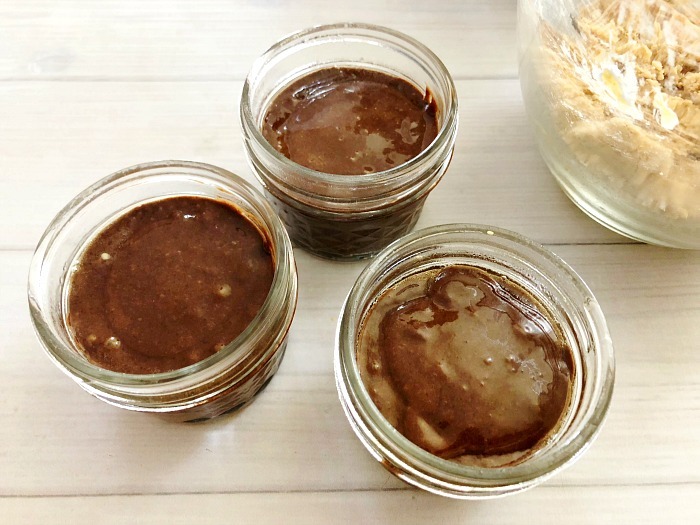 Form peanut butter mixture into small balls and place one in each Mason jar. 9. Place a tablespoon of chocolate batter on top of each peanut butter ball. 10. Bake for 15-20 minutes. 11. Add chocolate chips to a heat safe bowl and microwave on 50% power in 30 second increments until melted. Stir between each increment. Note: It will probably take 3-4 minutes to melt the chocolate chips fully. 12. 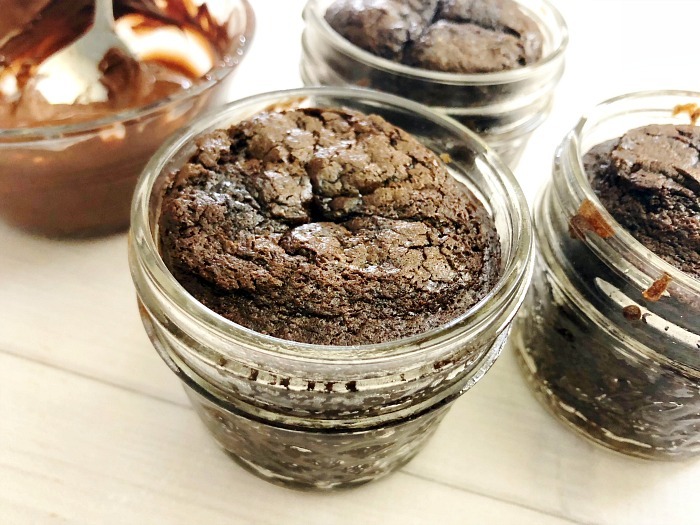 Add a tablespoon of melted chocolate to the top of each cupcake. 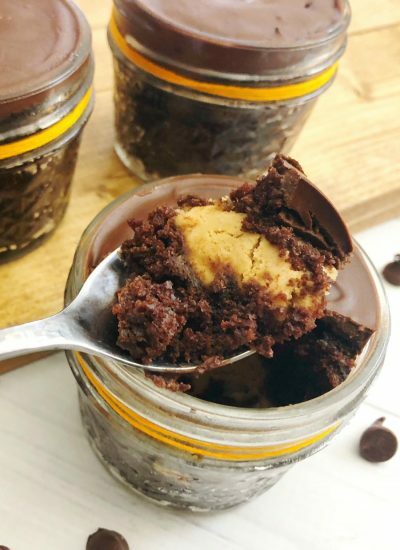 Now that you know how to make peanut butter cup cupcakes, how about tackling some other deliciously decadent Mason jar desserts? Follow Mason Jar Breakfast’s Mason Jar Desserts and Best of Mason Jar Breakfasts and More Pinterest boards.